Flamborough Septic is Ancaster’s local provider of septic tank pumping, inspection and maintenance services. Our years of success and reliable service have made us one of the go to professionals in the Ancaster area. If you live in Ancaster and the surrounding area, you can also count on our emergency service for all septic tank services. In order to understand why it’s important to pump your tank, you need to first understand how a septic tank works. There are two components to the system, which includes both the septic tank and tile bed. The tank is the most important component, which needs to be taken care of properly. It is recommended to have septic tank pumping done every few years, depending on the age of your system. For all your septic tank pumping, inspections and maintenance needs in Ancaster, call Flamborough Septic at 905-689-0333. 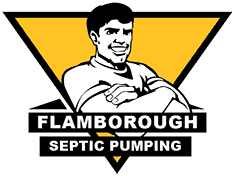 Flamborough Septic Pumping has been serving the Hamilton, Halton and Flamborough regions for over 50 years. We provide a full range of septic tank pumping, septic tank maintenance and septic tank inspection services. Additionally, we also provide emergency septic tank services. With years of experience in the septic business, we have the right amount of hands on experience to provide unparalleled service. Copyright 2018 Flamborough Septic Pumping. All Rights Reserved. Website by Hayes Web.